The Greek capital of Athens is set to become home to the world’s first ever ‘Foodie Hotel’, giving guests the ultimate gastronomic experience, greekcitytimes.com reports. 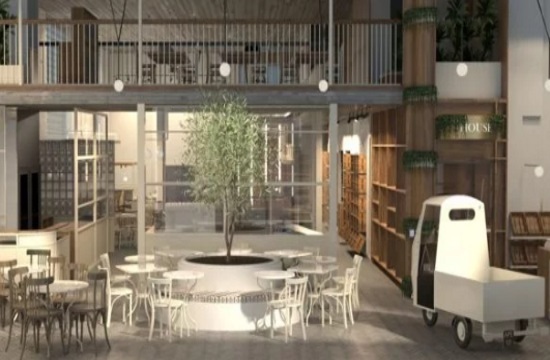 This boutique hotel will be located at 23 Mitropoleos street, very close to Syntagma Square and is the brainchild of Ergon Foods, a fast-growing Greek company that offers products from small Greek producers during the last nine years in Greece and abroad. “Ergon House Athens” will be one of the most interesting and innovative hotel projects in Greece and the world as it combines a unique way in which the areas of hospitality can come together and give guests the ultimate culinary experience. Visitors can make their way to the food market where they can buy meat, fish, and other local fresh products, or they can dine at the restaurant, drink at the rooftop bar, as well as stay at the modern hotel, which will feature 38 rooms.